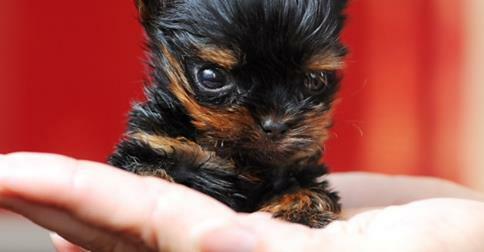 Belle's Journey - The Smallest Dog in the World? 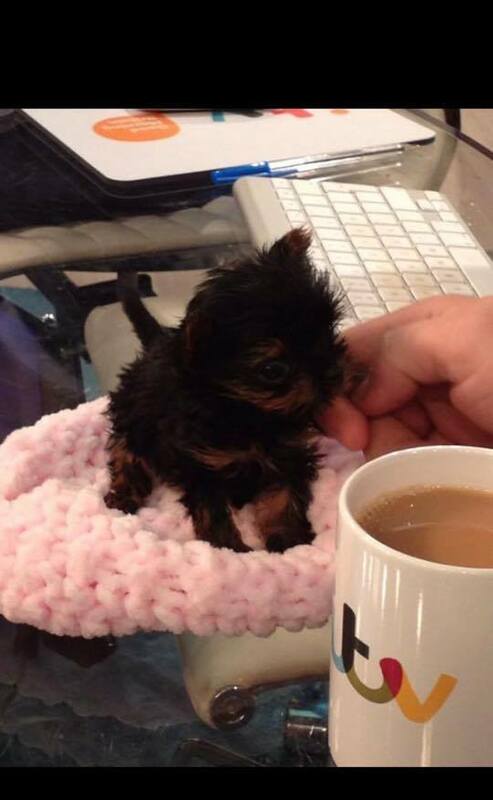 We all know that Teacup Yorkies are naturally very small but a tiny Yorkshire terrier called Belle is making headlines around the world as one of the smallest dogs alive. The fact that Belle is still alive is entirely down to owner Karenza Cruse from Great Yarmouth in the United Kingdom who is doing her utmost to ensure that Belle survives. This entails feeding Belle every two hours with a syringe, as well as expensive treatment at the veterinary office. Karenza Cruse has to juggle this with running a small hotel as well as looking after her two children and family life. At the time of writing Belle was eight weeks old and just a eighth of the size that she should be at this stage of her development. Talk about hard knocks, first her mother rejected her and then she had to be revived minutes after her birth while her four other brothers and sisters have died. Belle is attracting worldwide attention and publicity from national newspapers to features on television. Belle has also gathered huge support from thousands of Facebook friends who have made donations to help with her medical treatment. Belle is just 5cm tall and predicted to weigh just 750 grams when she is fully grown. I’m looking for a yorkie any size will do just want to help save a dog would rather have a girl puppy if possible.